After the successes of Leeds in 2016 and our London show in February we are heading to the beautiful seaside resort of Southport for the GO Travel Show North 2017. On Saturday 30th September, complimentary coaches will bring group travel organisers from all over the country to explore the very best of what the North has to offer. A selection of carefully chosen familiarisation visits and tours offer visitors the opportunity to further discover a wealth of attractions, hotels, destinations and experiences in the area. We work with our exhibitors to offer bespoke packages to suit every requirement and budget. TABLE TOP STANDS choose from standard 2m spaces or larger areas can be arranged. STAND SHARERS allows companies to work together. SPECIAL FEATURE AREAS tailor made zones give exhibitors the chance to try something different. Whether you are a cluster of Historic Towns and Attractions, a region of the UK or if you want to provide live interaction with visitors this exhibitor format allows you to explore different ways to showcase your company. You will receive an exclusive promotion on the show floor plan plus feature profiles on the GO Travel Show website and in the GTO magazine. GO TRAVEL SHOW READING ROOM if you can’t spare staff to attend the show you can still have a presence by displaying your company literature in a key spot at the exhibition. RETAIL CORNER for the first time ever we are offering retailers the chance to sell their products at the show. SPONSORSHIP OPPORTUNITIES via venue branding, show bags, badges or visitor refreshment areas. 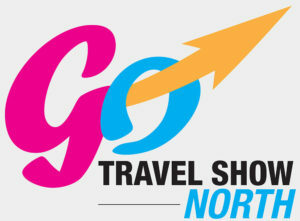 ADDITIONAL PACKAGES The GO Travel Show North works closely with all Landor Travel publications and there are opportunities to create a package to further promote your company via the GTO Magazine’s 10k readers, the annual Travel Awards or through e-shots to carefully selected GTO’s or via our social media platforms. Stand rates include a table, tablecloth, two chairs, single power point, catalogue listing, free tea and coffee all day, breakfast bacon butty. Exhibitors need to bring their own pop up banners and literature. Our Feature Areas give exhibitors the chance to try something different. Whether you are a cluster of Historic Towns and Attractions, a region of the UK or want to provide live interaction with visitors this exhibitor format allows you to explore different ways to showcase your attraction. Electrics and furniture are included in the price and you will receive an exclusive promotion on the show floor plan, feature profile on the GO Travel Show website and in GTO magazine. Please call to discuss your requirements. We know that sometimes staffing resources are limited so why not take advantage of the GO Travel Show Reading Room where you can display your brochures with no staff required to attend on the day. Please call to discuss your requirements. If you would like to take a retail area or you work with local retails outlets that may wish to trade at the show then… Please call to discuss your requirements. If you are ready to book, please view and download our Sales Pack by clicking here.